Copy & Paste – Text selection in web content: Long tap in a web page and start selecting text using the familiar Android-style drag handles. This was a top request by Firefox users. Added a ‘Quit’ action to the Android menu: exit the browser with one tap. When you restart Firefox, you can quickly continue where you left off by restoring all or individual tabs from your previous session. This was another very frequent feature request from mobile Firefox users. Use Firefox in your language: When Firefox starts for the first time, it detects the language setting of your Android device and automatically switches to that language, if Firefox supports it. You can switch Firefox to a different language with a single tap. Improved image rendering on Tegra-based tablets and phones (see bug 669851). 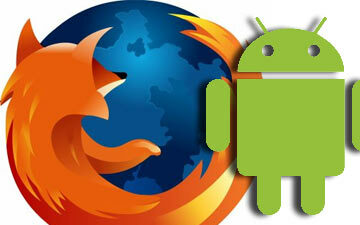 The WebSocket API is now available in Firefox for Android (see bug 537787). If you have a supported Android device (http://www.mozilla.org/en-US/mobile/platforms/), please take a moment to download the final beta and give it a try. As well, please join us by subscribing to the android-mobile-nightly-testers@mozilla.org mailing alias.We (the mobile QA team) will be sending out bi-weekly information on the latest news is in regards to the Nightly, Aurora and Beta channels. The newsletter will also tell you where and more specifically how we want to solicit your support in testing and helping us make the mobile Firefox experience better.